“Picturing Monhegan Island” by George Daniell. Intimate selection of photographs and drawings. Portland Museum of Art, 7 Congress Square Plaza. portlandmuseum.org. Ends Sunday. “Touching Sky,” an exhibition by Meredy Hamilton and Peter Bucklin. Running With Scissors, 250 Anderson St., Portland. www.rwsartstudios.com. Through Aug. 15. “Vibrant Colors of Robert Gibson,” paintings vary in subject from reflective spheres to glassware. Lyceum Gallery, 49 Lisbon St., Lewiston. www.lyceumgallery.com. Through Aug. 15. “Industrial Dreams,” new work by Dennis Pinette, taking an expansive scale, both reality and dream memory. Caldbeck Gallery, 12 Elm St., Rockland. www.caldbeck.com. Through Aug 16. Richard Estes Retrospective “Realism,” 50 paintings ranging from Estes’ first New York City facades in the late 1960s to panoramic views of Mount Desert Island in the 2000s. Portland Museum of Art, 7 Congress Square. portlandmuseum.org. Through Sept. 7. Andrea Sulzer: “throughoutsideways,” recent creations, including large, colored pencil drawings and woodblock prints. Portland Museum of Art, 7 Congress Square, Portland. portlandmuseum.org. Through Aug. 24. “A Celebration of Art and Nature,” sculpture exhibition and sale curated by June LaCombe with works by more than 40 artists in the gardens and along woodland trails. Gilsland Farm Audubon Center, 20 Gilsland Farm Road, Falmouth. www.junelacombesculpture.com. Through Sept 30. “The Wyeths, Maine and the Sea,” exhibition of approximately 30 works. Farnsworth Art Museum, 16 Museum St., Rockland. www.farnsworthmuseum.org. Through Dec. 28. “The Shakers: From Mount Lebanon to the World,” exhibition of approximately 200 works is a comprehensive look at the religious, social and economic foundations of Shaker life, seen through Shaker-made objects. Farnsworth Art Museum, 16 Museum St., Rockland. www.farnsworthmuseum.org. Through Jan. 5. “Making a New Whole: The Art of Collage,” multi-artist show. Art Gallery, University of New England, 716 Stevens Ave., Portland. www.une.edu. Through Sept. 28. 13th Annual Sculpture Garden Invitational, sculpture by 17 artists. UNE Art Gallery, 716 Stevens Ave., Portland. www.une.edu. Through Oct. 31. “Convergence: Jazz, Films and the Visual Arts,” jazz, art and film and the dynamic and energetic interplay between them. Bates College Museum of Art, 75 Russell St., Lewiston. www.bates.edu. Through Dec. 13. “Pollinators,” sculpture exhibit curated by June LaCombe. Coastal Maine Botanical Gardens, Barters Island Road, Boothbay. www.mainegardens.org. Through Aug. 30. “Summer Creativity,” multi-media including turned wood, woven scarves, jackets, home elements, jewelry, clay, glass, fiber, mixed media and photography. Markings Gallery, 50 Front St., Bath. www.markingsgallery.com. Through Aug. 30. “Wednesday Mornings” recent work by The Mill Painters. Maine College of Art, Charles C. Thomas Gallery, 2nd floor, 522 Congress St., Portland. 775-3052. Through Aug. 29. “Pastel Musings,” works by Janalee Welch. Harmon’s & Barton’s, 584 Congress St. harmonsandbartons.com. Through Sept. 30. Jon Imber: “Power of the Mark,” pastel drawings from the 1990s. Greenhut Galleries, 146 Middle St., Portland. www.greenhutgalleries.com. Through Aug. 30. “Contexture,” works by textile and assemblage artists. Monkitree, 263 Water St., Gardiner. Monkitree.com. Through Aug. 30. Barbara Ernst Prey: “American Contemporary,” a collection of 40 never before shown watercolors, dry-brush and oil paintings. Blue Water Fine Arts, Main Street, Port Clyde. www.bluewaterfinearts.com. Through Aug. 31. Bob Santandrea, solo exhibition of pastel paintings. Richard Boyd Art Gallery, 15 Epps St., Peaks Island. www.richardboydartgallery.com. Through Aug. 31. Lois Dodd: “Cultivating Vision,” drawings, watercolors and prints spanning four decades. Colby College Museum of Art, 5600 Mayflower Hill Drive, Waterville. www.colby.edu. Through Aug 31. Bernard Langlais Retrospective. Colby College Museum of Art, 5600 Mayflower Hill Drive, Waterville. www.colby.edu. Through Jan. 4. Tom Curry’s “Islands,” a dozen new oil paintings. Gleason Fine Art, 31 Townsend Ave., Boothbay Harbor. www.gleasonfineart.com. Through Aug. 30. “Elements,” curious and eclectic show from abstracts to animals by artists Connie Lundquist and Lee Cheever. Little Dog Coffee Shop, 87 Maine St, Brunswick. www.littledogcoffeeshop.com. Through Aug. 30. “Seacoast Moderns,” non-traditional and experimental works from Kittery Art Association artists. The Morgan Gallery, 120 Rogers Road, Kittery. www.kitterycommunitycenter.org. Through Aug. 22. “Way Up in Maine: The Works of William Wegman,” pioneering video artist, conceptualist, photographer, painter and writer. Emery Community Arts Center, Academy Street, Farmington. 491-0768. Through Sept. 7. “Painting Maine V,” artists Ellen Hutcheson, Barbara Klein, Sally Loughridge and Bob Vaughan. Damariscotta River Grill, 155 Main St., Damariscotta. 563-2992. Through Sept. 14. Art in the Park, sculptures by Anne Alexander. Johnson Hall Mini Park, Water Street, Gardiner. 582-3100. Through Oct. 31. “Windows and Doors: Crossing Boundaries,” paintings by Kay Carter with focus on how we organize ourselves and boundaries that define us. The Robert E. White Gallery at Husson University, Peabody Hall, 1 College Circle, Bangor. www.husson.edu. Through Sept. 4. “Cut, Arrange, Glue,” collage Improvisations by Robin Brooks. UNE Campus Center, 11 Hills Beach Road, Biddeford. www.une.edu. Through Aug. 28. Nancy Depew: “Inside the Forest,” scenes that are thick with beauty and full of mystery. Haynes Galleries, 91 Main St., Thomaston. haynesgalleries.com. Through Aug. 30. Roger Dale Brown: “Painting Maine,” plein air landscapes of land and sea in impressionistic style. Haynes Galleries, 91 Main St., Thomaston. haynesgalleries.com Through Aug. 30. “The Art of Albert Pucci: A Retrsopective,” Georgetown Historical Society, 20 Bay Point Road. www.georgetownhistoricalsociety.org. Through Oct. 4. “Maine Northern Skies: Clear Light,” local artists’ interpretations of Maine’s skies. L.C. Bates Museum, U.S. Route 201, Hinckley. www.gwh.org. Through Oct. 15. “Young Rufus Porter: The Art World Beckoning,” focus on early American artists that Porter might have encountered during his travels as a young man. Rufus Porter Museum, 67 N. High St., Bridgton. www.rufusportermuseum.org. Through Oct. 12. “Main Street, South Berwick: 200 Years of Downtown History” presents highlights from the museum collection. Counting House Museum, Main Street, South Berwick. oldberwick.org. Through Aug. 23. “Vitamin V: How Food Fought the Second World War,” large collection of propaganda posters and an outdoor victory garden illustrate life on the home front in the 1940s. Brick Store Museum, 117 Main St., Kennebunk. www.brickstoremuseum.org. Through Jan. 9. “New to the Collection: Artwork by Louis Norton,” works of pastel and oil by early 20th century American artist. Brick Store Museum, 117 Main St., Kennebunk. www.brickstoremuseum.org. Through Oct. 4. Kathi Smith, work reflects her landscape, in which she invites close observation of familiar-seeming places and their narratives. SugarWood Gallery 248 Broadway, Farmington. www.sugarwoodgallery.com. Opening reception 1-3 p.m. Sunday. John Paul Caponigro’s Open Studio, new work. Caponigro Arts, 73 Cross Road, Cushing. johnpaulcaponigro.com. 10 a.m.-5 p.m. Sunday. MFA Visiting Artist Summer Lecture Series: Robert Hobbs, scholar, teacher and curator specializing in late modern and postmodern art. Free. Maine College of Art, Osher Hall, 522 Congress St., Portland. www.meca.edu. 5:30 p.m. Monday. Fred Lynk, watercolors, Wells Public Library, 1434 Post Road. www.wells.lib.me.us. Opening reception 6:30 p.m. Tuesday. Casco Bay Art League Summer Show and Sale, oils, acrylics, watercolors, pastels, theorems and collage. Harpswell Heritage Land Trust, 153 Harpswell Neck Road. hhltmaine.org. Friday to Aug. 10. “Choosings,” David Estey, Harold Garde and Kathleen Florance. Harlow Gallery, 160 Water St., Hallowell. harlowgallery.org. Through Aug. 30. Opening reception 5-8 p.m. Friday. 2nd Friday Art Walk, art and music in venues along Maine and Pleasant streets, Brunswick. 5raa.org. 5-8 p.m. Friday. Hike and Sketch: The Landscape Through Rufus Porter’s Eyes, nature walk and discussion of Porter’s landscapes. Free. Rufus Porter Museum, 67 N High St., Bridgton. www.rufusportermuseum.org. 1 p.m. Saturday. Belgrade’s Lakeside Artisan Show, pottery, fiber, collectibles, jewelry and woodworking. The Belgrade Community Center for All Seasons, 1 Center Drive, 495-3481. 9 a.m.-4 p.m. Sunday. Quilts and More, an exhibition of quilts, old and new and hooked and penny rugs. Bar Mills Community Church, 13 Hermit Thrush Drive, Buxton. 929-5555. 10 a.m. Saturday. Schoodic Arts Festival, art, music and more. Hammond Hall at Schoodic Arts for All, 427 Main St., Winter Harbor. www.Schoodicartsforall.org. Through Aug. 10. From Palestine: Hummus and Poetry, a reading by Palestinian poet Sharif Elmusa, author of “Flawed Landscapes – Poems 1987-2008.” Gulf of Maine Books, 134 Maine St., Brunswick. gulfofmainebooks.blogspot.com. 4 p.m. Monday. Marjorie Agosin will discuss her historical novel, “I Lived on Butterfly Hill,” about a young girl sent to Maine to avoid conflict in Chile. Free. Falmouth Memorial Library, 5 Lunt Road. www.falmouthmemoriallibrary.org. 6:30 p.m. Tuesday. Sue Miller, author will read from and discuss her new book, “The Arsonist.” The Maine Coast Book Shop, 158 Main St., Damariscotta. mainecoastbookshop.com. 7 p.m. Friday. Ellen Cooney, Phippsburg author will read from her new novel, “The Mountaintop School for Dogs and Other Second Chances.” Gulf of Maine Books, 134 Maine St., Brunswick. 4 p.m. Saturday. Kneisel Hall Faculty Concert, music of Schubert, Debussy, Poulenc and Chausson. $30 in the hall, $20 on the porch. Kneisel Hall, 137 Pleasant St., Blue Hill. kneisel.org. 4 p.m. Sunday. Summer Organ Concert, organist Joyce Jones, free will offering, Ogunquit Baptist Church, 157 Shore Road. www.ogunquitbaptistchurch.org. 7 p.m. Sunday. Sebago-Long Lake Music Festival, sampling of the greatest classical chamber music, free. United Methodist Church, Chebeague Island. www.SebagoMusicFestival.org. 7:30 p.m. Sunday. Bowdoin International Music Festival, Gamper Festival of Contemporary Music, works by 20th century and contemporary American composers, $10 suggested donation. Studzinski Recital Hall, Bowdoin College, 3725 College St., Brunswick. www.bowdoinfestival.org. 7:30 p.m. Sunday. Bowdoin International Music Festival, Beethoven string quartets, Nos. 1, 9 and 16 by the Shanghai Quartet, $40. Crooker Theater, Brunswick High School, 116 Maquoit Road. www.bowdoinfestival.org. 7:30 p.m. Monday. Salt Bay Chamberfest Concert, works by Chopin, Tsontakis, Saariaho and Mozart. $30, $5 students. Darrows Barn at Round Top Farm, Business Route One, Damariscotta. www.saltbaychamberfest.org. 7:30 p.m. Tuesday. Sebago-Long Lake Music Festival: Classics – Mozart, Mendelssohn and Beethoven. $25, free for under 21. Deertrees Theatre, 156 Deertrees Road, Harrison. sllmf.org. 7:30 p.m. Tuesday. DaPonte String Quartet Summer Series II: Entente Cordiale, French, Russian and British composers. $25, free for under 21, at the door or from www.daponte.org. Union Church, Route 129, South Bristol. www.daponte.org. 7:30 p.m. Wednesday. Bowdoin International Music Festival, Wednesday Upbeat! concert, works by Bloch, Fung and Glinka, $40. Studzinski Recital Hall, Bowdoin College, 3725 College St., Brunswick. www.bowdoinfestival.org. 7:30 p.m. Wednesday. Bay Chamber Concerts, “Dialogue,” ensemble of much loved Bay Chamber musicians and friends. $10 to $45. Rockport Opera House, 6 Central St., Rockport. www.baychamberconcerts.org. 7:30 p.m. Thursday. Kneisel Hall open rehearsal, $15. Kneisel Hall, 137 Pleasant St., Blue Hill. kneisel.org. 9 a.m.-noon Friday. Kneisel Hall Faculty Concert, works by Mendelssohn, Hindemith and Dvorak, $30 in the hall, $20 on the porch. Kneisel Hall, 137 Pleasant St., Blue Hill. kneisel.org. 7:30 p.m. Friday and 4 p.m. Aug. 10. Salt Bay Chamberfest Concert, Franco-Chinese program with works by Debussy, Yanjun, Long, Yi and Ravel. World premiere by Wang Guowei. $30 adult, $5 student. Darrows Barn at Round Top Farm, Business Route One, Damariscotta. www.saltbaychamberfest.org. 7:30 p.m. Friday. Bowdoin International Music Festival, music of Brahms. $40. Crooker Theater, Brunswick High School, 116 Maquoit Road. www.bowdoinfestival.org. 7:30 p.m. Friday. Bay Chamber Concerts, Couperin, Berio and Mozart, $35. Union Hall, 24 Central St., Rockport. www.baychamberconcerts.org. 9 p.m. Friday. Two Centuries of American Music, Sean Fleming, John David Adams and Anthony Antolini collaborate on a concert for organ, piano and voice, $15. Episcopal Church of St. John the Baptist, 200 Main St., Thomaston. stjohnthomaston.org. 7:30 p.m. Saturday. Sebago-Long Lake Music Festival, program of introductions and samplings from Circus (Program V). $5, free for children. Deertrees Theatre, 156 Deertrees Road, Harrison. www.SebagoMusicFestival.org. 2:30 p.m. Aug. 10. Concert, flutes and piano, $7-$10. Christ Church, 6 Dane St., Kennebunk. www.christchurchkennebunk.org. 2 p.m. Aug. 10. Bates Dance Festival, “Different Voices,” new works by visiting choreographers, $25 adults, $18 seniors, $12 students. Schaeffer Theatre, Bates College, 305 College St., Lewiston. www.batesdancefestival.org. 7:30 p.m. Thursday. “Thug,” Vivid Motion presents an original tragedy written by Scarborough resident Shea Murphy. $12 adults, $10 students and seniors. St. Lawrence Arts, 76 Congress St., Portland. www.vividmotion.org. 7:30 p.m. Thursday through Aug. 10. Noon Dance Party, hosted by The Art Department and Space Gallery, free. Congress Square Park, Portland. congresssquarepark.org. Noon Friday. Maine State Ballet presents “A Midsummer Night’s Dream,” delightful reproduction of a Shakespeare classic. $18-$23. Maine State Ballet, 348 U.S. Route One, Falmouth. www.mainestateballet.org. Friday through Aug. 16. “Glory,” bring blankets or chairs, free, donations welcome. Camden Public Library Amphitheatre, Atlantic Avenue. www.librarycamden.org. 8:15 p.m. Monday. “In the Heat of the Night,” free. Patten Free Library, 33 Summer St., Bath. www.patten.lib.me.us. 6:30 p.m. Tuesday. Stories on the Staircase, children ages 3 to 5 are invited for a free story hour and a tour tailored for them. Victoria Mansion, 109 Danforth St., Portland. www.victoriamansion.org. 9-10 a.m. Wednesday. Kneisel Hall young artists lead an interactive children’s concert, Blue Hill Public Library, Main Street and Parker Point Road, Blue Hill. kneisel.org. 4:30-5 p.m. Wednesday. Seashore Trolley Story Time, transportation-themed stories come alive for kids. Adult $10; ages 6-16 $7.50; free for under 6. Seashore Trolley Museum, 195 Log Cabin Road, Kennebunkport. trolleymuseum.org. 10:30 -11 a.m. Wednesday. Stories by the Garden on Mackworth Island, interactive performance by local African drummer Annegret Baier, for families with kids of all ages. Free. Friends School of Portland, 1 Mackworth Island, Falmouth. friendsschoolofportland.org. 11 a.m. Wednesday. Crusher’s Kids Concerts in the Park: USM Chemistry Club, fun with potions, free. Deering Oaks, Park Avenue, Portland. 756-8130. 12:30 p.m. Thursday. Fairy Fridays, music and dancing on the maze, fairy puppet shows, stories, dress-up, crafts, fairy yoga, games, the Great Bubble Machine and building fairy houses, free with admission. Coastal Maine Botanical Gardens, Barters Island Road, Boothbay. www.mainegardens.org. 10 a.m.-2 p.m. Friday. Family Friday Nights, ice cream and train ride, $5. Maine Narrow Gauge Railroad and Museum, 58 Fore St., Portland. www.mainenarrowgauge.org. 5-8 p.m. Friday. Disney’s “Peter Pan, Jr.,” musical based on the Disney film and J.M. Barrie’s play, $12. Ogunquit Playhouse, 10 Main St., Ogunquit. www.ogunquitplayhouse.org. 10 a.m. and 1 p.m. Saturday; 10 a.m. Aug. 10. Shape Note Singing, four-part singing tradition also known as Sacred Harp. All welcome. Free. The New Church, 302 Stevens Ave., Portland. www.maineshapenotesinging.org. 1-4 p.m. Sunday. Family Affair, father and daughter duo performing soul, blues and R&B. Free. Inn on the Blues, 7 Ocean Ave., York Beach. www.innontheblues.com. 2 p.m. Sunday. Concerts at Norcross Point. Free. Norcross Point, Winthrop. www.facebook.com. 2-4 p.m. Sunday. 3 Doors Down, acoustic rock, $31.75 to $61.75. Maine State Pier, Commercial Street, Portland. www.waterfrontconcerts.com. 6 p.m. Sunday. Anne & Pete Sibley, acoustic folk duo, $17. Jonathan’s Restaurant, 92 Bourne Lane, Ogunquit. tickets.jonathansogunquit.com. 8 p.m. Sunday. Mark Butler, country, gospel singer. East Wilton Union Church, 1306 Main St. 6 p.m. Sunday. The Band Apollo, free. The Bandstand, Water Street, Hallowell. 5:30 p.m. Tuesday. Music on the Mall, free. Maine Street, Brunswick. 729-4439. 6 p.m. Wednesday. Jeffery Broussard & the Creole Cowboys, pack-the-floor renditions of Creole classics and contemporary zydeco. $18 advance, $23 day of show. The Opera House in Boothbay Harbor, 86 Townsend Ave., Boothbay Harbor. www.boothbayoperahouse.com. 7:30 p.m. Wednesday. Sunset Folk Series, Anna Lombard. Free. Western Promenade Park, Portland. 756-8130. 7:30 p.m. Wednesday. David Munnelly and Mick Conneelly, Irish accordion and fiddle masters bring comedy, stories and award-winning instrumentals. $15. Skye Theatre Performing Arts Center, Winter Hill Road, South Carthage. www.necelticarts.com. Pre-show jam 6 p.m.; 7 p.m. Wednesday. Spirit Family Reunion, Americana, roots. The Ghost of Paul Revere opens, free. Monument Square, 1 City Center, Portland. www.portlandmaine.com. 5 p.m. Thursday. Summer Concert Series: KGFreeze, rock, pop, R&B band, free. Lithgow Public Library, 45 Winthrop St., Augusta. www.lithgow.lib.me.us. 6:30 p.m. Thursday. Alice Limoges Band, free. Camden Public Library Amphitheatre, Atlantic Avenue. www.librarycamden.org. 7 p.m. Thursday. Jerks of Grass, progressive bluegrass, free, presented by Friends of Eastern Promenade, Fort Sumner Park, North Street, Portland. 756-8130. 7 p.m. Thursday. 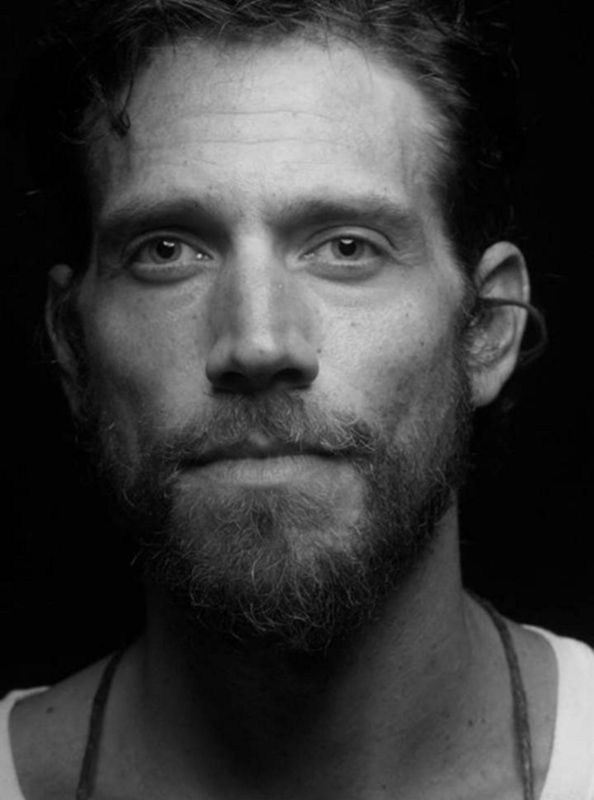 Ben Taylor, folk rock, $15 advance, $20 day of show. The Opera House in Boothbay Harbor, 86 Townsend Ave., Boothbay Harbor. www.boothbayoperahouse.com. 7:30 p.m. Thursday. David Munnelly and Mick Conneelly, Irish accordion and fiddle masters bring comedy, stories and award-winning instrumentals. $22. Deertrees Theatre, 156 Deertrees Road, Harrison. sllmf.org. 7:30 p.m. Thursday. Catie Curtis, singer-songwriter, $20. Georgetown Historical Society, 20 Bay Point Road. www.georgetownhistoricalsociety.org. 7 p.m. Friday. Novel Jazz Septet, a night of Ellington and Strayhorn, $15 in advance, $20 day of. The Opera House at Boothbay Harbor. www.boothbayoperahouse.com. 7:30 p.m. Friday. Ben Taylor, singer-songwriter, $25. Jonathan’s Restaurant, 92 Bourne Lane, Ogunquit. tickets.jonathansogunquit.com. 8 p.m. Friday. Color Blind Band, $5. Zack’s Club Lounge @Fireside Inn & Suites Portland, 81 Riverside St., Portland. www.zackerysrestaurant.com. 8:30 p.m. Friday. Rob Schreiber’s Standard Issue, classic jazz from The Great American Songbook, free. Portland Marriott, Running Hill Road, South Portland. www.marriott.com. 6:30 p.m. Friday. Eddie Forman Orchestra, lively Polka music, free. Gazebo at Wells Harbor Park, Harbor Road. www.wellstown.org. 6:30 p.m. Saturday. Songs for a New World, Southern Maine Performing Arts Collaborative pairs local performers with students to produce a traveling summer musical to raise awareness and funds for the performing arts. $12 adults, $10 students and seniors. North Windham Union Church, 723 Roosevelt Trail, Windham. 7:30 p.m. Saturday. Josh Thompson, country music, $19, 18-plus. Asylum, 121 Center St., Portland. www.portlandasylum.com. 8 p.m. Saturday. Portland Reggae Fest, Freddie McGregor, John Brown’s Body, Mighty Mystic, Et Ana, New Kingston, Soul Rebel Project, $30, $40. Maine State Pier, Commercial Street, Portland. www.waterfrontconcerts.com. Noon Aug. 10. Make-A-Wish Maine Tractor Pull and Fun Day, tractor pulls and silent auction featuring 160 items. Free admission. 448 Boom Road, Saco. maine.wish.org. 9 a.m.-4 p.m. Sunday. 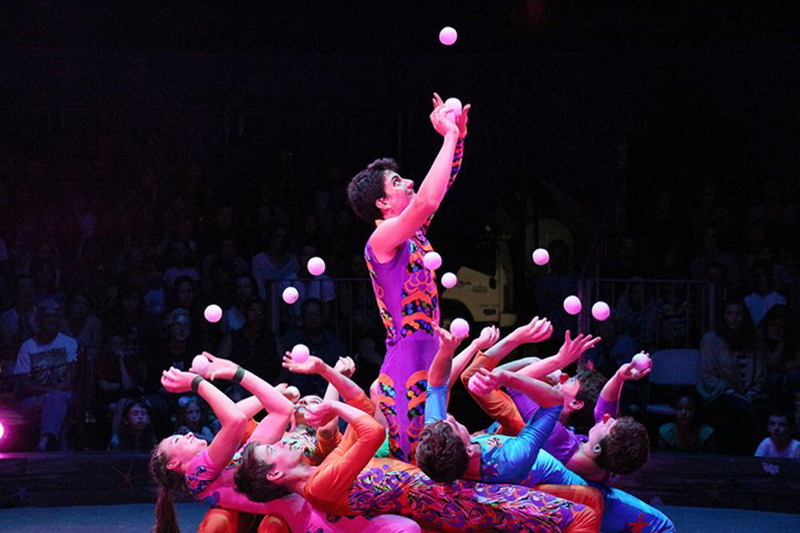 Circus Smirkus, “Anchors Away for Atlantis,” $18 to $21. Merriconeag Waldorf School, 57 Desert Road, Freeport. www.merriconeag.org. 1 and 6 p.m. Monday and Tuesday. Step Back in Time: Norlands Community Appreciation Day, the 1867 Washburn mansion and farmer’s cottage and 1853 one-room schoolhouse will be open for tours. $5 per person, $3 ages 12 and under. Washburn-Norlands Living History Center, 290 Norlands Road, Livermore. www.norlands.org. 11 a.m. Tuesday. “An Evening with Walt Whitman,” part of the library’s “Maine and the Civil War” series with actor Stephen Collins. Free. Camden Public Library, 55 Main St. www.librarycamden.org. 7 p.m. Tuesday. “The Making of A Hard Day’s Night.” $25. The Theater At Monmouth, 796 Main St., Monmouth. theateratmonmouth.org. 7:30-9 p.m. Wednesday. Shakespeare in the park, “As You Like It,” comedy, free. Deering Oaks, Portland. www.fenixtheatre.com. Through Saturday. “Venus in Fur” by David Ives, dramatic and comedic tale of dominance in a relationship. $12 adults, $10 seniors. Hallowell City Hall Auditorium, 1 Winthrop St. gaslighttheater.org. Through Saturday. Monty Python Live (mostly) – HD broadcast of comedy legends performing live together at London’s O2 Arena for the first time in more than three decades. $23, $15 students. The Strand Theatre, 345 Main St., Rockland. www.rocklandstrand.com. 7 p.m. Wednesday. “Mary Poppins,” enchanting story, unforgettable songs and breathtaking dance numbers. $39-$79. Ogunquit Playhouse, 10 Main St. www.ogunquitplayhouse.org. Through Aug. 30. “Footloose,” stage version of the hit movie, full of exhilarating dance and an award-winning top 40 score. $38-$63. Maine State Music Theatre, 1 Bath Road, Brunswick. msmt.org. Wednesday through Aug. 23. “Tales from the Blue Fairy Book,” from princesses to fairies, kings to dwarfs, there’s a magical happily ever after for girls and boys. $10, $15. The Theater at Monmouth, 796 Main St., Monmouth. theateratmonmouth.org. Through Aug. 21. “What the Butler Saw,” risque and ferociously playful farce. $10-$30. The Theater at Monmouth, 796 Main St. theateratmonmouth.org. Through Aug. 22. “A Woman of No Importance,” dark Oscar Wilde comedy of serial seducers, moralizing monogamists, secret pasts and heartbreak. $10-$30. The Theater at Monmouth, 796 Main St. theateratmonmouth.org. Through Aug. 23. “As You Like It,” $10-$30. The Theater at Monmouth, 796 Main St. theateratmonmouth.org. Through Aug. 23. “Romeo and Juliet,” $10-$30. The Theater at Monmouth, 796 Main St. theateratmonmouth.org. Through Aug. 24. Monty Python’s “Spamalot,” madcap romp with King Arthur and his knights. $10 to $25. Hackmatack Playhouse, 538 Route 9, Berwick. hackmatack.org. Through Aug. 16. “Legally Blonde,” $36.25-$41.25. Arundel Barn Playhouse, 53 Old Post Road, Arundel. arundelbarnplayhouse.com. Tuesday to Aug. 16. Camden Shakespeare Festival, “As You Like It,” $5 to $20. Camden Public Library Amphitheatre. www.librarycamden.org. Through Aug. 10. Dustbowl “Hamlet,” takes place in a 1930s dustbowl setting, $8 to $12. The Neighborhood House, 1 Kimball Road, Northeast Harbor. www.harborsideshakespeare.org. Through Aug. 16. “Children Of Eden,” a musical based on Genesis and Noah’s Ark, $23. The Boothbay Playhouse, 275 Wiscasset Road, Boothbay. www.boothbayplayhouse.com. Wednesday to Aug. 20. “On the Edge,” one-person play by “Matinicus” author Eva Murray. $10 for adults, $6 for youth ages 12 and under. The Strand Theatre, 345 Main St., Rockland. www.islandinstitute.org. 7 p.m. Friday. “The 25th Annual Putnam County Spelling Bee,” one-act musical comedy. Snow Pond Center for the Arts, Route 23, Sidney. www.nemusiccamp.com. 7:30 p.m. Friday and Saturday. Kevin O’Leary presents short works by WritersGroup, free. Breakwater School, 856 Brighton Ave., Portland. 831-2434. 7 p.m. Saturday. Amanda Huotari’s “The Soiree,” theatrical party with lots of laughs, $14 adults, $12 seniors, $8 kids & students. Celebration Barn Theater, 190 Stock Farm Road, South Paris. www.celebrationbarn.com. 8 p.m. Saturday. “Almost Cowgirls,” new musical comedy by Valerie Bennett, staged reading with music. Adult show, $10. Jewett Hall Auditorium, Civic Center Drive, Augusta. 831-3511. 2 p.m. Aug 10.